The Chinese economy is in distress, and the country’s currency and markets, reflecting unease, are tumbling. Xi Jinping, the Chinese ruler, has no solutions. The only thing he is doing is incurring more debt. That’s extremely unfortunate because an overly indebted Beijing is again set to push the world into recession. China, through predatory policies, precipitated the global downturn last decade, and it looks like it will cause the next one as well. Last time, the Chinese benefitted handsomely from worldwide misery. This time, they will not be so fortunate and will almost certainly end up being the greatest victims. Veteran financial traders often lament that their younger coworkers have never lived through a bear market. But it is fair to say that no one alive has experienced a trade war comparable to what the United States under President Donald Trump is starting. Before the tariffs now being imposed on a range of products from China, it was solar panels, washing machines, steel, and aluminum. What's next? We believe it is a foregone conclusion that the "national security" auto case will result in tariffs—likely against high-end cars from European and Japanese automakers—before the November midterm elections. Why? Peter Navarro and Robert Lighthizer, Trump's top trade advisers, believe they know what to do based on the U.S. experience in the "car wars" with Japan in the 1980s. Despite previous announcements, Beijing may step in to assist or even bail out some loans if defaults accelerate. The urgency of the risk will compel the central government to accelerate efforts to revamp the country's tax structure, but its ability will be limited by the uncertain economic situation. American tech companies and research institutions — involved in the development of artificial intelligence in both the U.S. and China — face elevated ethical questions as the two superpowers race for dominance in the field. Why it matters: U.S. labs face the real possibility that collaborations with Chinese companies and universities will end up bolstering Beijing’s goal of dominating global civilian and military AI. 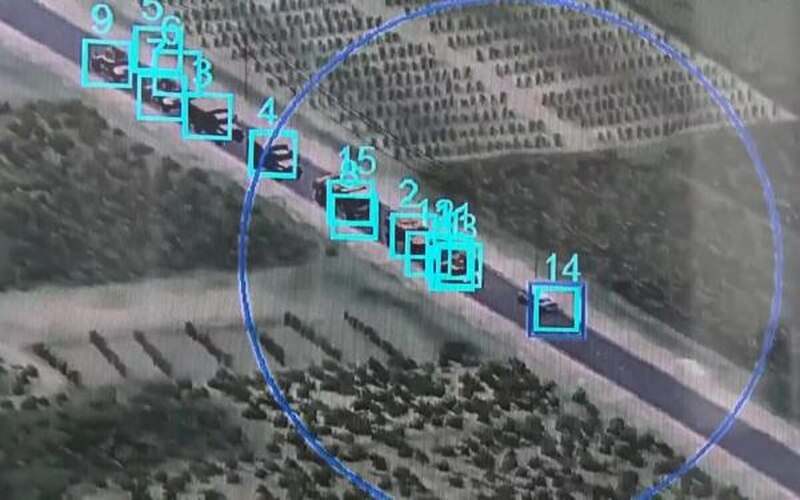 What’s going on: China’s prestigious Tsinghua University recently laid out a vision for how it will develop AI for military applications, flagging a close relationship between universities, private companies, and the armed forces. In China, such collaborations are the default, but in the U.S., companies and institutions are still grappling with how willing they are to work with the military. Google recently withdrew from a Pentagon drone-surveillance program when some employees revolted. The concept of asymmetric warfare is neither new nor static and has been used over centuries as a means for an inferior force to counter a superior force. In nearly every century of recorded conflict, there have been events where various forms of asymmetric warfare were adopted by one set of belligerents as a means to enforce their goals on the target populace. Most familiar among them was insurgency, used as a strategy to challenge the government and its institutions. However, the nature and complexity of an insurgency are such that they bind the levels of response by a counter-insurgent force to below conventional warfare and above low-intensity conflict. The period of engagement and intensity of the insurgency further escalates if it has the latent characteristics of a proxy war. If the existence of an insurgency is within the national boundaries, the situation demands a level of military action while remaining within the sphere of law enforcement. The counterinsurgency operations led by coalition forces in Afghanistan and the engagement of Indian armed forces in Kashmir and elsewhere within India provide the context whereby we might better understand various facets of an insurgency and be able to devise a more effective counter-response strategy. 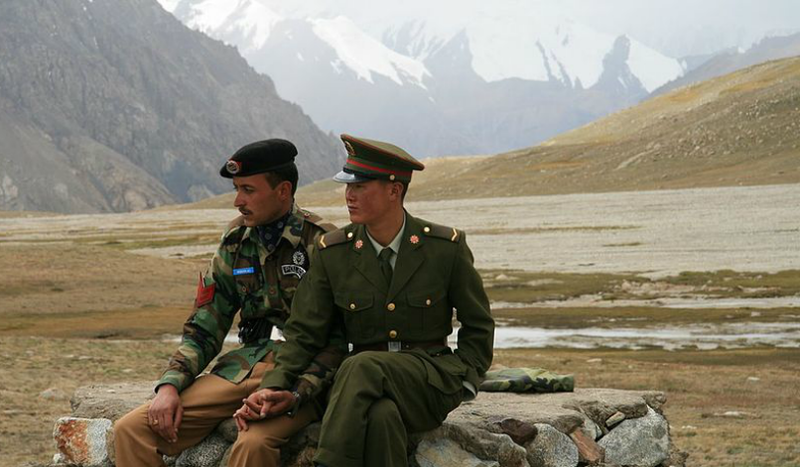 This article will use those contexts to analyze the lessons provided by Kautilya and Carl von Clausewitz toward understanding modern-day counterinsurgency operations. 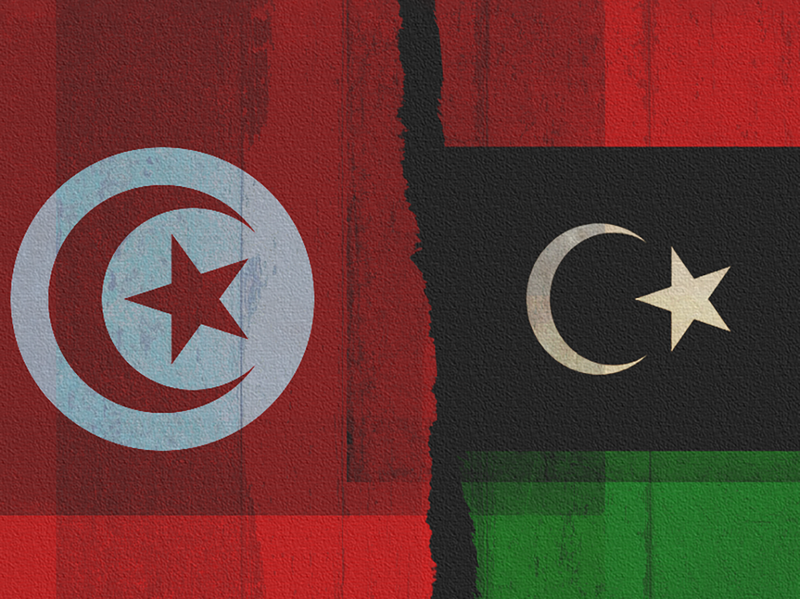 Attention has understandably been focused on jihadi actors in Libya and Tunisia. However, Lisa Watanabe contends that other Islamic actors also deserve greater scrutiny given the role they could play in shaping these countries’ future. To help address this gap, Watanabe here explores 1) the Muslim Brotherhood in Libya and Ennahda in Tunisia, groups who have gone the furthest in accepting democratic norms and principles; 2) more conservative Salafi actors, such as former jihadis; 3) quietist Salafis, who generally eschew political engagement and reject armed resistance against Sunni Muslim regimes, and more. 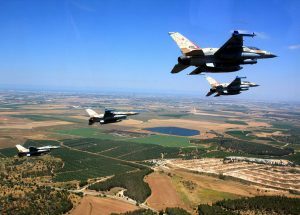 EXECUTIVE SUMMARY: Tehran’s recent decision to attempt direct clashes with Israel resulted in a resounding defeat on May 10, when the IDF destroyed 50 Iranian military targets in Syrian territory. Iran is now shifting gears back to its traditional proxy approach. While it appears reluctant to mobilize Hezbollah against Israel right now and risk a full-scale regional war, it is continuing to work on securing a military position in Syria to use for future aggression. Israel must maintain its flexibility and responsiveness in order to prevent the creation of a second Iranian mass missile front on the border. Judging from international media reports, Israel’s campaign to keep Iran out of Syria has entered a new phase. U.S. leaders and their European allies are unprepared for the ways in which Russia's President Vladimir Putin is poised to wage war in Ukraine and the Baltic. The Russian military is well positioned to launch a short-notice conventional war in Ukraine and a hybrid war in the Baltic States, the opposite of what Western leaders seem to expect in each theater. NATO leaders increasingly warn of the threat of a conventional invasion of the Baltic States (or even Western Europe). But Russian ground forces are not deployed or organized to initiate a short-notice conventional war in that region. They have, however, redeployed and reorganized since 2014 in a way that would support a rapid mechanized invasion of Ukraine from both north and east, while remaining well-prepared to conduct a hybrid warfare intervention in the Baltics similar to what they did in Ukraine after the Maidan Revolution. The United States and its partners should re-evaluate the most likely Russian courses of action and reconsider the mix of military and non-military tools required to defend NATO allies and Ukraine from potential Russian aggression. o China-Latin America Arms Sales Antagonizing the United States in the Western Hemisphere? Chea Leakhena and Ou Thyda were in their late teens when they began working in Canadia Industrial Park, on the outskirts of the Cambodian capital of Phnom Penh, stitching T-shirts and jeans for global brands including Adidas, Puma, Gap, and H&M. The two women hailed from the same tiny village in rural Prey Veng province, a three-hour bus ride away. Back home, Chea Leakhena’s wages from the factory had funded the installation of a new solar panel, providing enough electricity for the family’s first small TV and two fans. Several other dwellings in the village had similar additions, all paid for the same way. The factory work was hard and could be dangerous, but the women’s relatives in the village praised them as go-getters who had ventured far from home to improve their lives and those of their families. U.S. President Donald Trump met with Russian President Vladimir Putin in Helsinki on July 16. The meeting was the first official summit between the two leaders and included a one-on-one session as well as a group-level discussion with senior Cabinet officials from both sides. As Stratfor stated in the 2018 Third-Quarter Forecast, Russia will attempt to break a negotiating stalemate with the United States to talk sanctions, military build-ups and arms control. Moscow will likely promote its ability to mediate in the Syrian conflict, but as we previously stated: Don't hold your breath for a breakthrough. As Stratfor anticipated, no major agreements came out of the summit, though some of the key topics of discussion were highlighted in a joint press conference following the meeting. 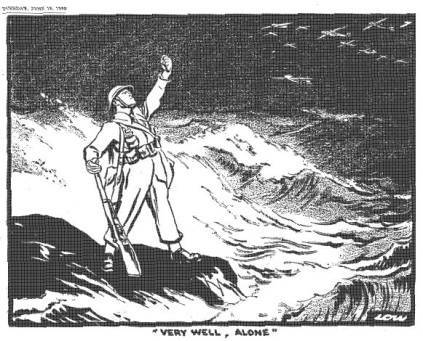 “Very well, alone” are the words beneath the famous June 1940 cartoon by David Low depicting a solitary British soldier facing a rough sea and enemy bombers. France had fallen, Panzer divisions had reached the English Channel, and Britain was the only major power holding out against the Nazis. At this point in the greatest struggle between freedom and tyranny, the Land of the Free hadn’t shown up yet. “America First” — the slogan of the isolationists in Congress in the early days of World War II — would tie President Franklin D. Roosevelt’s hands for another 18 months as Europe was left to its fate. Adul Sam-on and his teammates were all smiles Wednesday as they walked into a packed news conference, newly released from the hospital after being rescued from a flooded cave in Thailand. "It was a miracle, it was shocking," the 14-year-old said of the rescue mission as he and several of the Thai boys told the world for the first time in their own words what it was like being trapped in the Tham Luang cave complex. Adul is originally from Myanmar. Reports say he left his family when he was 7-years-old and moved to Thailand to get a better education. In Thailand, he lived in a church and was raised by Christian teachers. The Department of Defense plans to spend $1.7 billion over the next five years to stand up a new Joint Artificial Intelligence Center, according to new budgeting figures. The reprograming documents sent to Congress, obtained by C4ISRNET sister publication Defense News, outline the Pentagon plans to spend $5 million to get the center stood up with an estimated $70 million for the new project to be spent in fiscal year 2018. These funds will go toward the center’s establishment to “rapidly field Artificial Intelligence (AI) at scale to the Services and Combatant Commands (CCMDs) to effectively deploy AI-enabled capabilities in support of DoD’s warfighting missions and business functions,” the documents state. The war games, which started on Monday and test reconnaissance, electronic communication, cybersecurity, air strikes and other battle skills, are aimed at increasing ground troops’ understanding of modern warfare, and fostering new strategic ground force commanders after a sweeping PLA overhaul. More than 50 combat units involving about 2,100 officers are taking part at five training bases. They include airborne troops, special forces and electronic warfare experts from ground forces from the Eastern, Western, Northern, Southern and Central command theatres, according to official social media accounts. The ground force said the war games started simultaneously at the Zhurihe Combined Tactics Training Base in Inner Mongolia, and four military institutes in Chongqing, Hefei and Hebei provinces and the Guangxi Zhuang autonomous region. Please use the sharing tools found via the email icon at the top of articles. 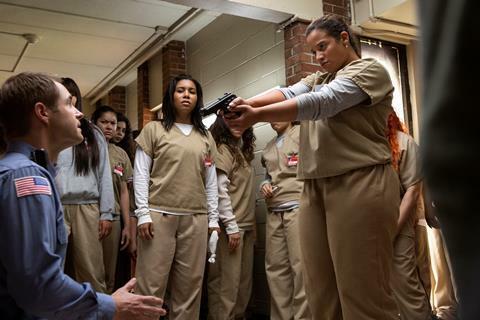 Copying articles to share with others is a breach of FT.com T&Cs and Copyright Policy. Email licensing@ft.com to buy additional rights. Subscribers may share up to 10 or 20 articles per month using the gift article service. More information can be found here. Jens Stoltenberg on Article 5 and why cyber defence has become core to the alliance Cyber attacks can switch off city power supplies © Max Vetrov/AFP/Getty Images Share on Twitter (opens new window) Share on Facebook (opens new window) Share on LinkedIn (opens new window) Save Save to myFT Jens Stoltenberg JULY 12, 2018 Print this page2 One night, just before Christmas in 2015, the power went out across Kiev. As apartments rapidly chilled in the sub-zero temperatures and water pipes began to freeze, Ukrainian engineers raced to turn the power back on. A year later, exactly the same thing happened again. As events last year demonstrated, cybersecurity in the media and entertainment industry is of very real concern. As the world gets ever more connected and still more vulnerabilities open up, how can broadcasters and suppliers work together to prepare for and combat threats? On 27 June 2017, the NotPetya computer malware exploded round the world targeting computers running Microsoft Windows. Unlike previous ransomware viruses, its backend mechanisms to collect bitcoins from infected sites were rather malformed and seemed almost incidental, leaving experts to conclude that it was not built to extort money but simply to infect systems and cause the maximum amount of damage possible. In recent years, it’s begun to seem like cyber attacks from national level opponents are just a way of life. Reports of Russian efforts to gain access to the U.S. electrical grid or Chinese operatives seeking technical data on the U.S. defense apparatus have become so familiar that the stories themselves no longer draw a great deal of public interest. With no shots fired and no forces crossing any borders, a form of warfare is already raging — with digital security professionals squaring off against offensive operations aimed at the United States, and of course, others likely launching American offensives of our own. Ali Crawford has an M.A. from the Patterson School of Diplomacy and International Commerce where she focused on diplomacy, intelligence, cyber policy, and cyber warfare. She tweets at @ali_craw. Divergent Options’ content does not contain information of an official nature nor does the content represent the official position of any government, any organization, or any group. Title: An Assessment of the Likely Roles of Artificial Intelligence and Machine Learning Systems in the Near Future Summary: While the U.S. Department of Defense (DoD) continues to experiment with Artificial Intelligence (AI) as part of its Third Offset Strategy, questions regarding levels of human participation, ethics, and legality remain. Though a battlefield in the future will likely see autonomous decision-making technology as a norm, the transition between modern applications of artificial intelligence and potential applications will focus on incorporating human-machine teaming into existing frameworks.